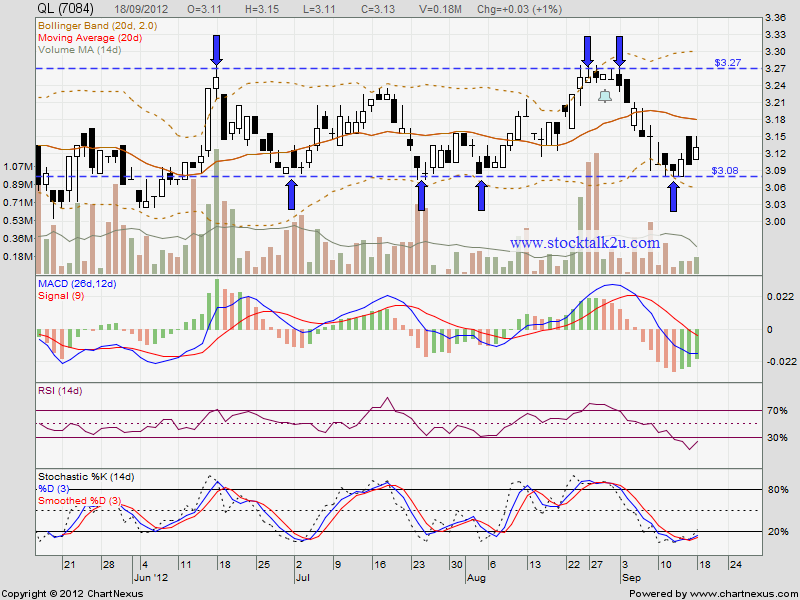 QL retest RM3.08 support level & rebound. MACD at negative region, it is on downtrend sign. Most probably it will retest MA20 / MA50 resistance level. If the bull strong enough, it might break through & retest RM3.27 resistance level. 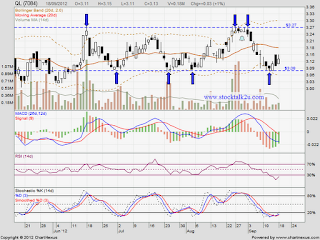 If retrace down, RM3.08 would be immediate support.